First, thanks for letting me interview you today, the MSC really appreciates it. 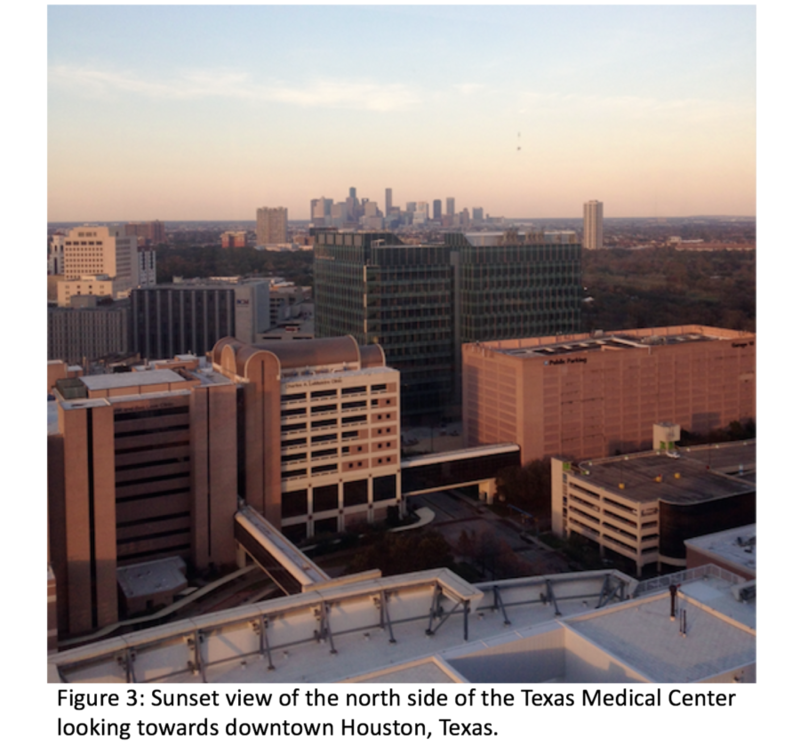 The purpose of this interview is to highlight medical student research in IR. So first, can you tell me a little bit more about your research – What exactly are you working on? First of all, I’d like to thank you and the SIR MSC for taking the time to interview me. It’s not everyday that medical students get much credit or exposure for their work, so I really appreciate this opportunity. I mostly work on translational research with a focus on translating ideas onto the bench-top and into animal models. Currently I’m involved in three prototype projects involving (1) developing a theranostic approach to stem cell-mediated delivery of gold-iron nanoparticles to hepatocellular carcinoma (HCC) and glioblastoma multiforme (GBM) and (2) developing radio-opaque gold-iron nanoparticle-infused biodegradable devices. I’m also working on (3) combination therapy using electroporation-mediated ablation and uptake of micelle- and liposomal-encapsulated chemotherapy in HCC and bone metastases. Can you talk a little bit more about your nanoparticle research. What translational stage is your nanoparticle research in? I’ve synthesized nanoparticles before. However, my mentor Marites Melancon at M.D. 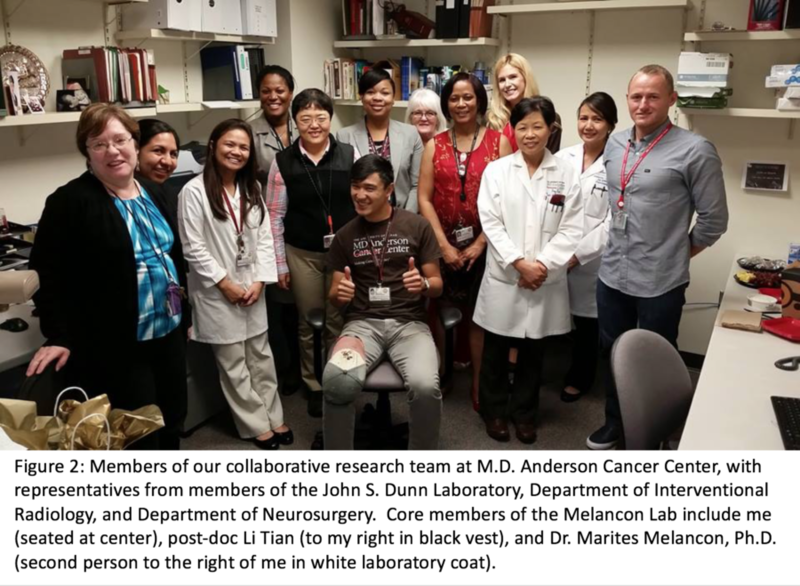 Anderson Cancer Center along with two post-doc fellows Burapol (Jeck) Singhana and Li Tian are the main “Breaking Bad” chemists of the team. I contribute completely on the biological, cellular, animal model, and systems engineering sides of the project. I test the synthesized nanoparticles in different cell lines (glioma, hepatocellular carcinoma, pancreatic cancer, stem cells), upsize to animal models, histological analysis, immunohistochemistry, fluorescence microscopy, necrosis quantification, apoptosis determination and statistics. 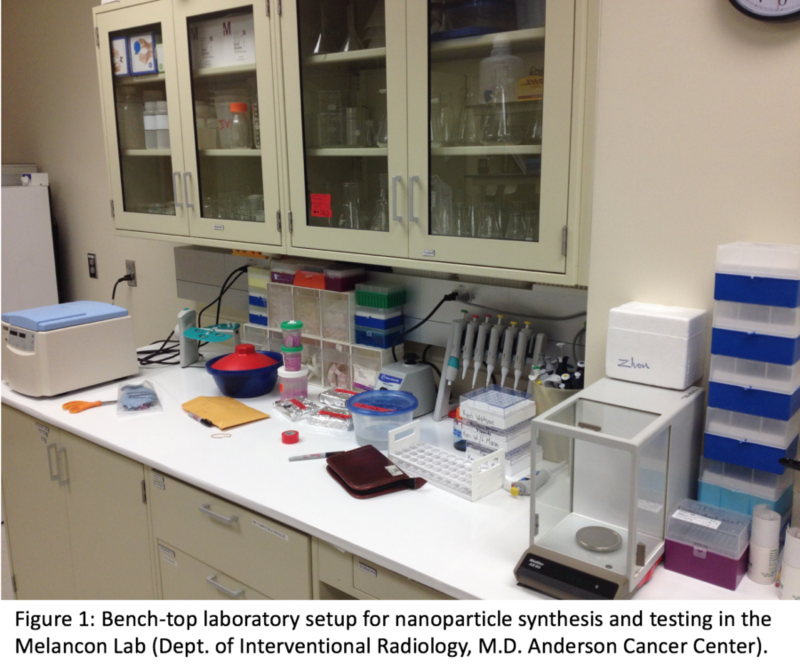 For the gold-iron nanoparticle project, we’re currently in multiple application phases. For one of the projects, we’ve infused our gold-iron nanoparticles into biodegradable IVC filters in conjunction with Mitchell Eggers from Adient Medical Inc, and published our paper in Nature Scientific Reports last year. We’ve now finished testing our devices in situ in porcine models with positive results. We’ve also started infusing our gold-iron nanoparticles into biodegradable stents, which has shown improved visualization compared to iodine contrast-infused stents, and are currently writing the manuscript on this project. I am currently taking the lead on the last application for these gold-iron nanoparticles. We’ve found that human bone marrow derived stem cells are capable of trafficking nanoparticles towards HCC, and also across the blood brain barrier for targeting GBM in mice models. Our results were published recently earlier this year in Nanotechnology. The ability of bone marrow derived stem cells to traffic nanoparticles allows for real-time tumor monitoring using MRI and high-resolution ultrasound. However, I am eventually interested in developing a theranostic approach for this project. We have found that, after targeting tumor sites of interest, our nanoparticles can be activated with a near-infrared (NIR) laser to a high enough temperature for cancer cell thermal ablation. My project is using these thermal ablation properties to develop a “seek-and-treat” platform for targeting difficult-to-reach tumors, and to bypass physiological barriers to non-specific treatments such as arteriovenous shunting. 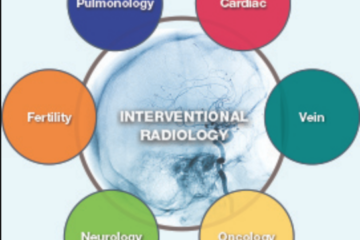 Why is your research important for the interventional radiology field? What about the general clinical/scientific community? Can you describe your research in the context of the current field? I think that radio-opaque biodegradable devices are very relevant for IR in general. Due to poor follow up, IVC filter placement and removal can be problematic for both patients and IR physicians. If a branch of a traditional IVC filter breaks off and embolizes to the liver or to the brain then this can be very problematic from a patient-safety stand-point. With radio-opaque biodegradable IVC filters, IR physicians can place them safely and know that they will degrade on their own regardless of if the patient returns to get them removed or not. The same principle applies for radio-opaque biodegradable stents and their associated risks for patient morbidity and mortality. For our project focusing on stem cell-mediated delivery of gold-iron nanoparticles, I envision this platform developing into a new alternative (or adjunct) modality for transarterial chemoembolization (i.e. TACE). Our nanoparticle-labeled stem cells will, as the embolic material, navigate difficult anatomy (i.e. shunts, tortuous vessels, etc.) and provide a more target-specific approach for cancer treatment via NIR laser-mediated thermal ablation. As for the combination electroporation-mediated encapsulated chemotherapy treatments for HCC (led by Marites Melancon) and bone metastases (led by Alda Tam), I truly believe this will become extremely relevant for interventional oncology in the future. What are some next steps for your research? What do you hope to accomplish during the summer/year? I’m planning on applying for SIR and RSNA Seed Grants this upcoming year to help fund some of my future projects during residency. For the radio-opaque gold-iron nanoparticle-infused biodegradable IVC filter project, the obvious next step would be a clinical trial. I would love to be an IR resident at an institution where I can continue to be involved in the human phase of this project. For the stem cell project I plan on using any grant money I may receive towards upsizing my research to swine models for HCC and GBM as most of our preliminary project data have come from mice. As for the combination electroporation-mediated chemotherapy approaches, Marites Melancon and Alda Tam at M.D. Anderson will be driving the ship on those projects. I’m also hoping to help out with Texas A&M College of Medicine’s new EnMed Program, a collaboration between the College of Engineering and College of Medicine focused on training “physicianeers.” The MD+ Program, spearheaded by Dean Carrie Byington, focuses on training physicians with an interest in developing new medical devices at Houston Methodist Hospital. I finally also want to work on some ideas for some patents I might want to file. An easy thing to say would be for medical students to have hard skills in statistics, cell culture, organic chemistry. But realistically and from personal experience, I believe hard skills can be picked up along the way. From my experience, the most important skill for being successful in research during medical school is being able to collaborate with people. A lot of times, medical students are afraid to approach and ask a PI how they can help out with a project. Motivated medical students should find out what the project needs to get completed (i.e. why the project is currently stalled) and be the missing piece of the puzzle the project needs to get completed. It’s imperative that we learn how to make ourselves an asset for getting a project completed faster and with greater detail and accuracy. One way a student can expect not be asked back again to collaborate on a future project is if they slow the project down, or make themselves a liability for the PI. 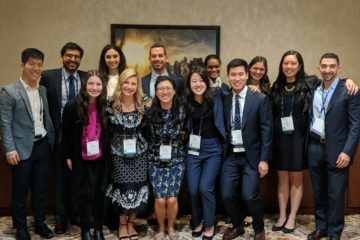 How will medical student involvement in research push the IR field forward? In my opinion, IR is currently one of the most innovative fields in medicine. I’m choosing to apply to IR instead of to some of the other surgical subspecialties, which I’ve also loved and come to greatly appreciate, because of IR’s innate sense of innovation. IR physicians are constantly solving problems in the OR which they may not have ever encountered before. With greater experience, seasoned IR physicians may become accustomed to doing things a certain way (i.e. “the gold standard”), which is true of any field. For better or for worse, medical students have less knowledge and experience in the field. 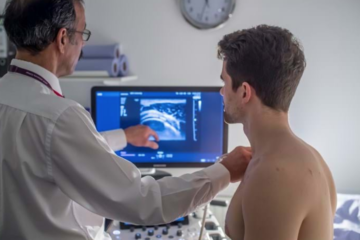 Due to their inexperience with standard IR protocol, medical students may be an invaluable asset for providing fresh ways of doing things “outside-of-the-box” which more seasoned IR physicians may have ruled out. For a field as constantly evolving as IR, new ideas should not only be welcome, but are also necessary for the development and survival of our field. What are some tips for medical students interested in IR? Especially for medical students thinking of pursuing research? IR is an exciting field! I would consider IR if you have an interest in imaging, working with your hands, and being in an environment with ever evolving cutting-edge treatment modalities. As for getting involved with research, you’re going to have a lot of people tell you throughout your medical school career that you’re not going to have enough time to pursue research (among many other things), and that you need to balance your work with your life. To that, I say listen to the advice these people have to give and hear what they’re saying. But in the end, get involved early and take all the opportunities you’re able to get as a medical student. Then, push the boundaries of what you think you’re realistically capable of managing. You can always cut back on obligations later, but getting the initial opportunities is the hardest part.